Safari coffee table books abound in bookstores and online; if you are an experienced safari-goer, traveler, planning a trip or just a fan of stunning African imagery, we’ve put together a selection of the best offerings to mark a permanent spot on your table. Covering collections of original photography, handy guidebooks and something a little different, here are our favorites for the best safari coffee table books. 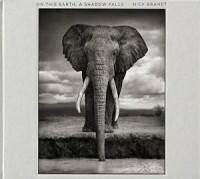 Featuring truly exceptional and dramatic black and white photographs of wildlife, Nick Brandt’s collection of images is different from the usual brand of safari photography. Each photograph is treated with almost painterly attention to detail, and the solemn style sets it apart. Brandt’s goal was to capture empathetic recordings of Africa’s last major populations of big mammals. Brandt approaches his animal subjects with a portrait style usually reserved for humans. A book you and guests will leaf through repeatedly. Get it on Amazon here for both second hand and new copies, from $US80.95. On Safari combines the best of both – a useful travel guide with over 1000 beautiful images worthy of a coffee table book. The book, a result of Anderson’s experience on no less than 79 safaris, is both practical and inspiring, offering useful tips, in-depth research, and guides to some of the best spots for safaris in Africa. A great gift too for both the adventure-planner and nature lover. Buy it new and used from Amazon, with copies starting at $US85.90. For something different to grace your coffee table, take a look at Kainen’s particular achievement. Photicular, a technology also known as integrated photography or lenticular, creates the illusion of movement and 3D imagery. 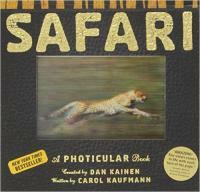 Kainen’s safari and wildlife images come to life with animals in motion, proving a unique addition to your coffee table. The book isn’t just pretty pictures and animation, however, and you’ll find safari history, detailed information on wildlife and interesting facts alongside the collection of stunning animations. Get it on Amazon from $US18.79. 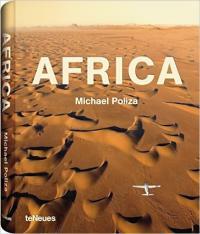 Michael Poliza is a renowned photographer mostly known for his capture of shapes in nature; in his book, excellent aerial shots of African landscapes, with fascinating shapes and geometry arising from the landscapes themselves and the interaction of wildlife in those spaces. 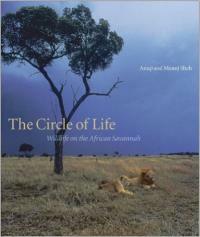 Africa is a beautiful compendium of both scenes and wildlife, a necessary addition to any nature lover’s collection. You’ll find copies of Africa on Amazon starting from $US41.09. Another one from Poliza, South Africa is a collaboration between the photographer and eight other shutterbugs. The book is a collection of images from all over the country, including wildlife, reserves, culture and city scenes. This is the perfect guidebook for a coffee table – including a holistic amalgamation of everything a traveler could come across while visiting the country. Get it here in either paperback or hardback, with copies starting at $US17.96. 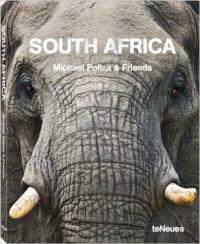 This is another perfect South African image collection and guidebook, covering the country’s diverse geographies, including the Cape Peninsula, KwaZulu Natal, the Garden Route, Karoo and interior, and East Coast among more. Each stunning image encapsulates the country’s beauty and diversity, from cityscapes to towering mountains, rolling hills, dramatic coastlines, wildlife, savanna and desert scrub. 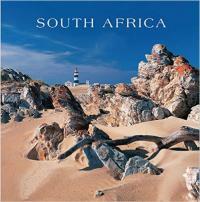 Fraser’s South Africa will serve both as a gorgeous souvenir and inspire many a viewer to visit the rainbow nation. Also available from Amazon in new and used, from $US15.54. Estes’ guidebook is ideal for naturalists wanting to learn more about mammal behavior on the African continent and has been around (and revised) since 1993. 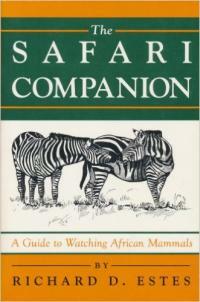 The book covers over 80 species and provides detailed and invaluable information on a variety of behaviors that the keen naturalist can look for while on safari. These include mating behaviors, interaction with young, territorial behavior and aggression. Perfect for anyone looking to get the most out of their safari. Get it here from $US2.57 a copy. If you’re coming back from or going to Kenya and Tanzania, this is the perfect coffee table souvenir and guide. Covering the many animals to be found on the Serengeti-Masai Mara plains and the Ngorongoro Crater, these are some of the most beautiful images of wildlife in this part of the world. The image collection is supplemented with information on ecology, animal behavior and their place within the ecosystems of these vast areas. Available from Amazon with used copies at just $US2.99 and $US55.00 new. 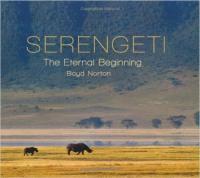 Boyd Norton’s anthology on the Serengeti is like no other, featuring majestic photography, personal accounts, and pages of information on the area’s history, people, wildlife and of course the great migration. The book beautifully captures the rich diversity of the Serengeti, making it the perfect gift or souvenir for avid preservationists, safari-goers and nature lovers. Norton is known for his goal to drive the preservation of this magnificent area, and his book will no doubt inspire others to do the same. Buy it here from $US16.99 used and $US19.31 new. Is there Internet Access while on Safari?